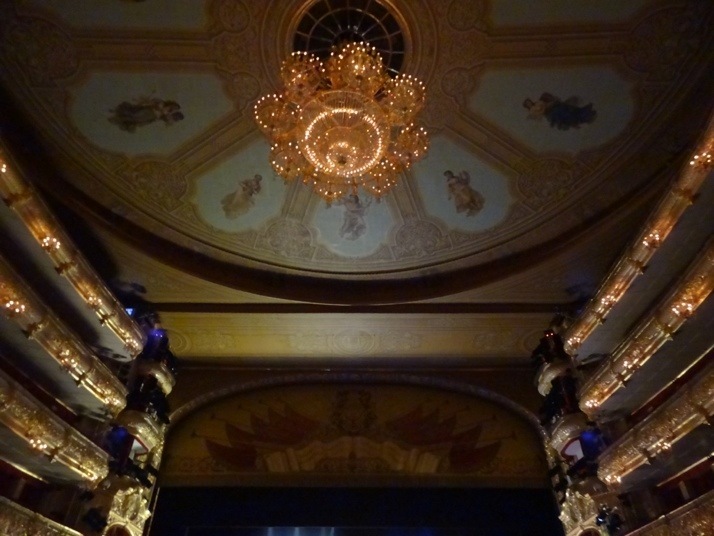 The Bolshoi ballet company is world renowned. 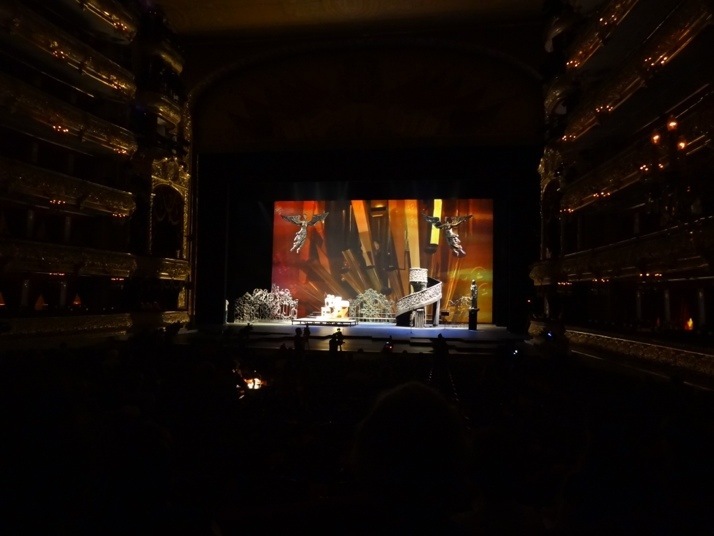 The company tour during the summer months, which meant that there was a good chance they’d be performing at their home theatre while we were in Moscow. As you would expect, most of the tickets were booked over a fortnight ahead, and although we can go a little over our daily budget, most of the tickets were still north of £100. Each. Ouch. Given that neither of us know anything about ballet (OK, I know there are mirrors, tutu’s and pirouette’s, but that’s about it), we didn’t think we’d fully appreciate what it would cost us, despite being tempted by the performance of Romeo and Juliet. We’d read that it’s possible to get tickets at the last minute from touts keen to make any money back on the night of performances, but decided against it as we weren’t confident we had the right clothing even if we scored a couple of cheap seats. And it’d be very unlikely we’d end up sitting together. 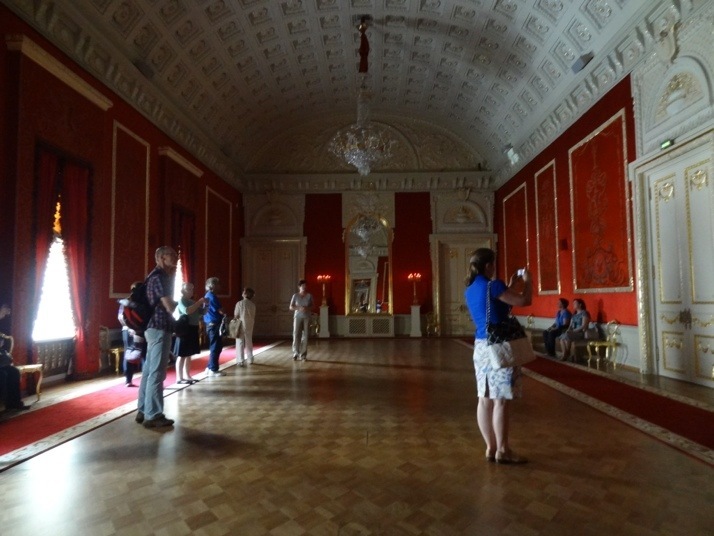 While investigating tickets, we found out that the Bolshoi does tours three times a week on a first-come, first-served basis. The strictly limited 15 tickets go on sale at 12:00, for a Russian-only tour that starts at 14:30, lasting 90 minutes, and are sold as one ticket per person. We thought we’d get there early, and on arrival at 11:00, there was already a handful of people waiting. A nice Russian lady asked us some questions, and we think we heard some numbers in there, until a Dutch couple translated for us – the group was self-organising, and we had number’s 11 and 12. Excellent. 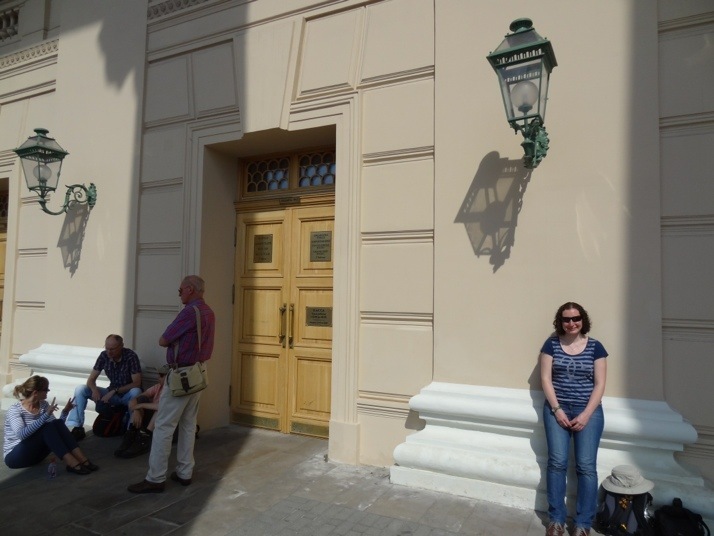 Queuing outside the Bolshoi for 2 of the 15 tour tickets. The couple to the right sitting down are the friendly Dutch translating organisers! Our Dutch friends explained the situation to everyone else that turned up, and after there were 15 waiting, most decided to try again another day.. it all seemed quite efficient, that is, until 5 minutes before the ticket door opened. One old lady just walked right into the middle of us crowded around the door, and managed to get in just ahead of us – we’re now 12 and 13.. OK, we’re still good. The door opened again and the next bunch were allowed in – then a slight and well dressed pensioner wearing too much lipstick at the back of the group shouted protestations at the guard and thrust an official-looking card at him. It transpires that war veterans can queue jump, she’d only been waiting 10 minutes! We got in just behind Mrs Veteran, as 13 and 14 – a definite case of Russian queuing. I can’t tell you much about the tour itself, as it was in Russian. 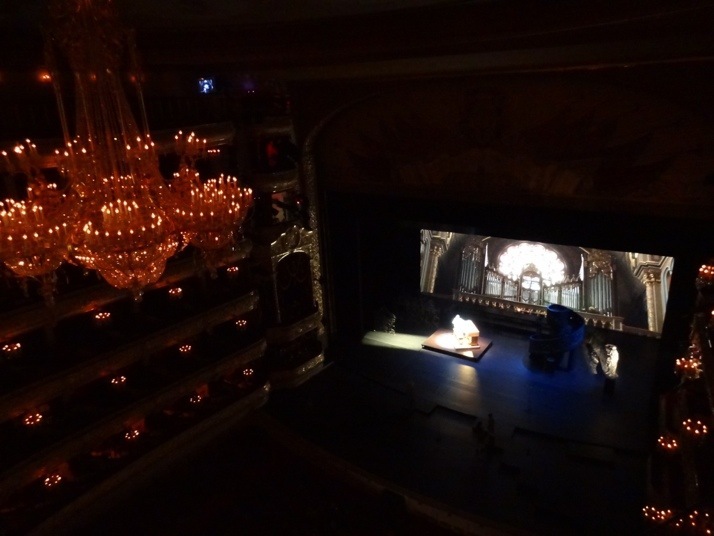 Instead, here are some more pictures..
From the first floor we took the lifts to the top floor and were asked to keep very quiet as rehearsals were on in the main theatre.. yay! 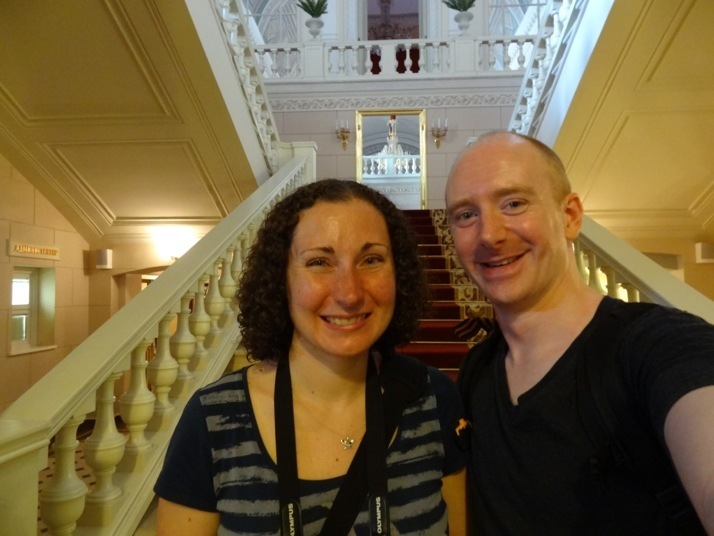 we’re going into the Bolshoi theatre! One of the women in our tour group started doing a little bit of translation into English for us and the Dutch couple. 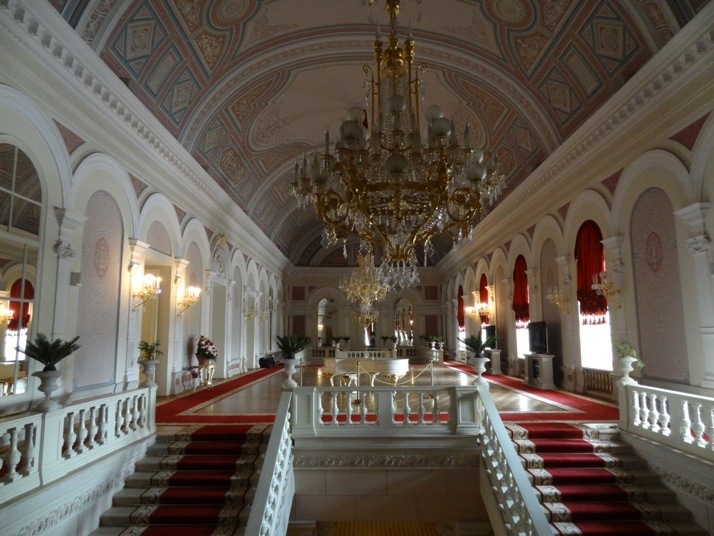 The main chandelier used to hold candles, and was lowered to the stalls before performances to be lit, but the dripping wax became a problem so they installed a net underneath, but that obscured the view from the 4th floor balcony! Delighted at being able to see the main stage (as sometimes it’s not possible during the tour), we then went through one of the refreshments bars to a staircase on the western side of the building – wait! There’s an upstairs? 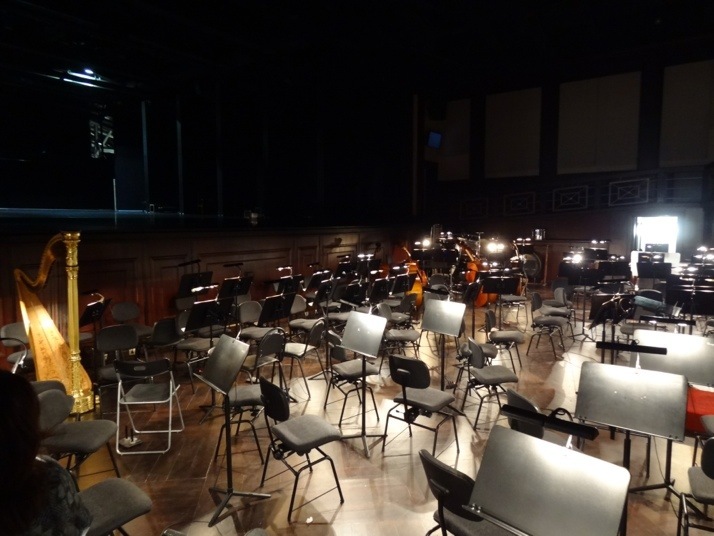 Directly above the main stage is an exact replica of the stage itself and the orchestra pit. 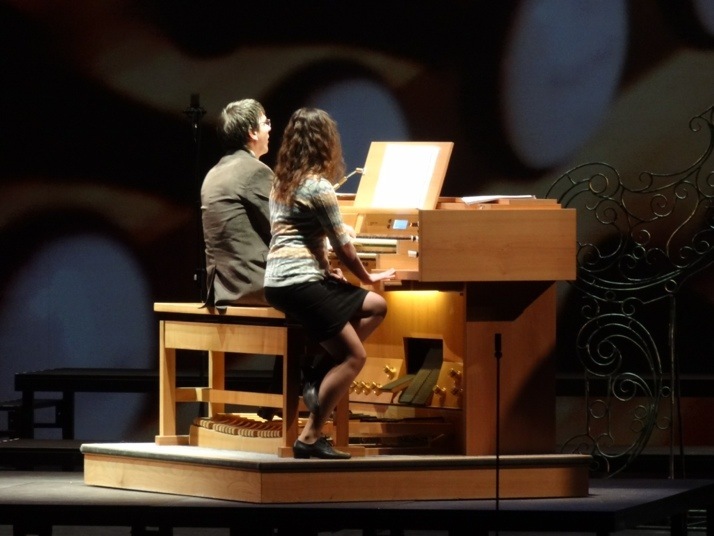 There are only about 10 rows of seats, but all other dimensions, mechanics and materials are the same. We were allowed to wander briefly onto the stage, and when the tour guide led the group back downstairs Mrs Dutch and I quickly snuck behind the stage for a peek! 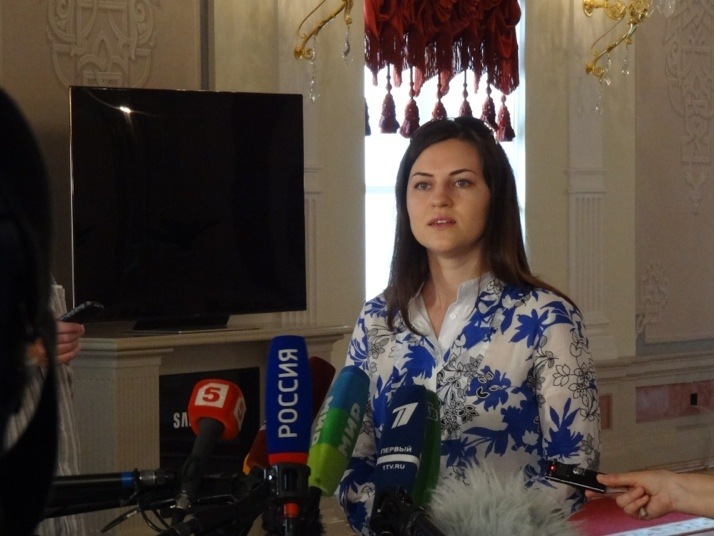 Interview inside the Bolshoi. Do you know who this is? Just before we thought the tour would end, our guide checked the main theatre again and said it was OK for us to sit in on the rehearsals for a few minutes – this time on the ground floor in the amphitheatre at the back of the stalls! 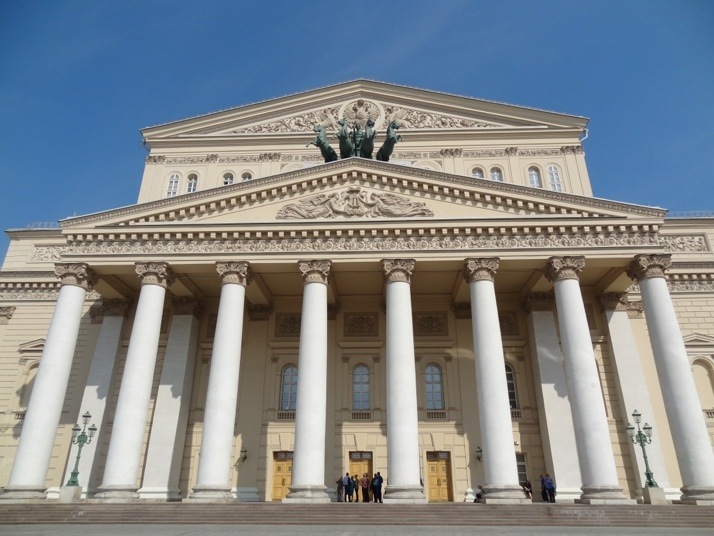 The tour is definitely worth your time if you can get to the Bolshoi on a Monday, Wednesday or Friday no later than 11am, and don’t mind a bit of Russian queuing (or “pushing in”, as we British call it) when the doors open for tickets at 12:00. 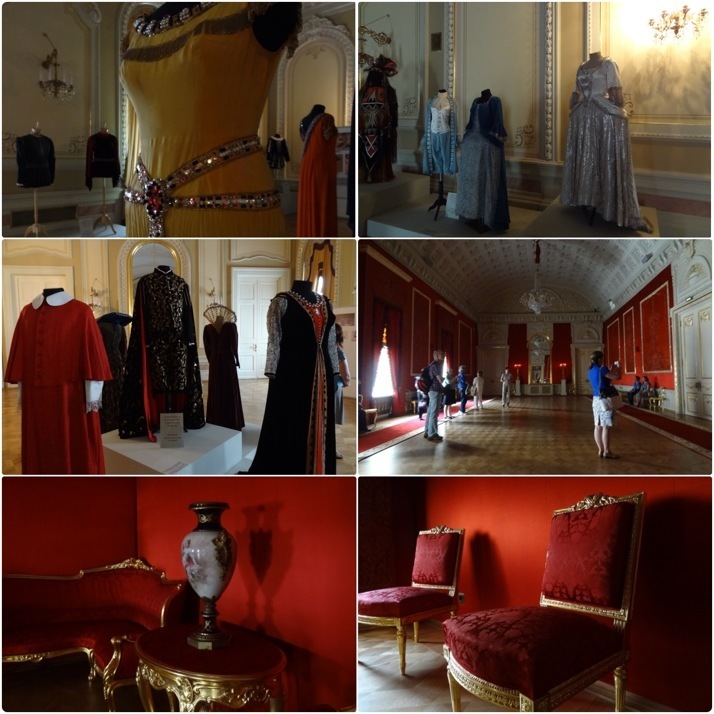 This entry was posted in Experiences, Places and tagged Bolshoi Theatre, Moscow on May 24, 2013 by Andrew.